Hollywood movie actor Johnny Depp, famous for his roles in Edward Scissorhands, Sleepy Hollow and Pirates of the Caribbean, became the unwitting star of an internet hoax which spread widely this weekend. Innocent internet users were fooled by the hoax, spreading messages to their online friends that the popular film star, who lives in France with his partner Vanessa Paradis, had come to a tragic end at the side of a road in Bordeaux. which seemingly contained a CNN news report, including a photograph of the wreckage. However, the webpage (despite appearances to the casual browser) wasn’t actually on CNN’s website at all. 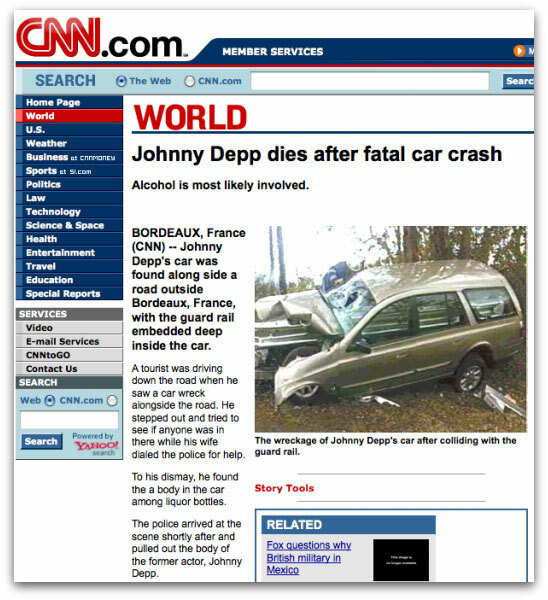 Johnny Depp’s car was found along side a road outside Bordeaux, France, with the guard rail embedded deep inside the car. A tourist was driving down the road when he saw a car wreck alongside the road. He stepped out and tried to see if anyone was in there while his wife dialed the police for help. To his dismay, he found the a body in the car among liquor bottles. 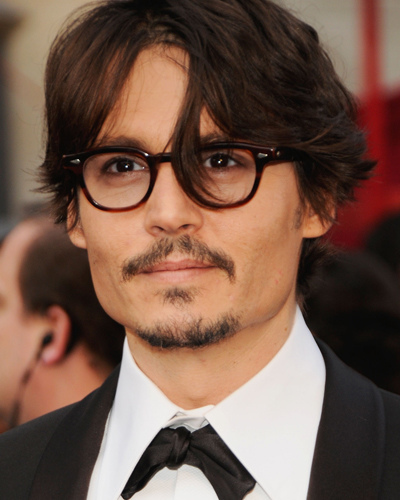 The police arrived at the scene shortly after and pulled out the body of the former actor, Johnny Depp. Many people forwarded on messages about Depp’s death making “Johnny Depp RIP” a trending topic on Twitter, which helped to fuel the rumour and spread it even further and faster. The only problem was, inevitably, that the people hadn’t checked their facts before passing on the news. Johnny Depp, I’m delighted to report, hasn’t died in a car crash.